If you're looking for a new family dentist, Barrett Family Dental is here for you! Do you work at Nike or Intel? Our convenient office is close-by and we work with ODS and Delta Dental. 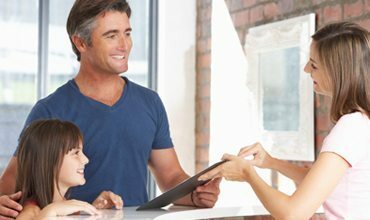 With extended hours, we strive to make dental visits easy and hassle-free for your whole family. We know you’re busy so we’ll get you in on short notice, pamper you and get you back to the office in no time! 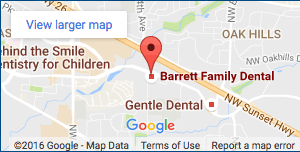 Barrett Family Dental is the practice of Dr. Richard Barrett, family dentist in Beaverton, OR 97006. Call 503-690-9667 for your personal appointment. Your Beaverton dentist, Barrett Family Dental, has a new post on the blog. Check it out! We know - we're always telling you to take good care of your teeth. But we have good reasons! There is some new research out that supports the claim that oral health is directly connected to overall health. Call us today if you've been putting off making an appointment. It'll do your body good! Beaverton family dentist Dr. Richard Barrett offers patients advice on why they should never ignore their oral healht.